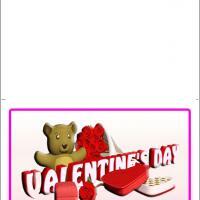 Greet someone and bid them to have fun on Valentines day using this two fold Valentine bear themed card. 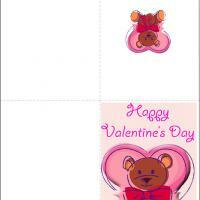 These printable Valentines feature an adorable bear on top of a pink heart with a pink bow around its neck. The same bear is also found on the inside of the card. Print and add some colorful drawings, borders and patterns around. Do not forget to add more hearts and a heart loving thoughtful message. 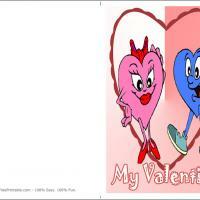 This is a great card both for couples and for friends to give to each other. 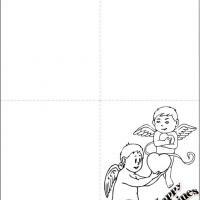 Print this card today and share the love!